Almost before the announcement was made by 10 Downing Street, it was assumed that the International Development minister role left vacant by the departing Priti Patel would be awarded to Penny Mordaunt. This was held by our free and fearless press, overall, to be A Very Good Thing. She was a Royal Navy reservist. She was a forthright defender of our armed forces. And she had been on a reality TV show! Yeah, right. So that brackets her with pro-am motormouth Katie Hopkins and (yes, it’s her again) Nadine Dorries. No-one with brain plugged in and a hole in their backside would trust either of those less than totally august beings any further than they could usefully chuck them. We should judge the likes of Ms Mordaunt on their track record. So perhaps we should examine hers to see just how shipshape it is. And this shows that Penny Mordaunt is very much the continuity new minister - apart from being, like Ms Patel, vehemently anti-EU, she is also appallingly dishonest. On top of that, her voting record does not inspire confidence. Voting to bomb Syria is bad. Voting against investigations into the Iraq War is worse. And voting against making it illegal to discriminate on the basis of caste is totally unforgivable. That last puts her in the same place as her fellow Tory MP Bob Blackman, who, as I noted at the time, was in the vanguard of using the issue of caste - and opposing making it illegal to discriminate on that basis - to garner more votes. Blackman has since put himself firmly in the doghouse after welcoming a known Islamophobic hate preacher to Parliament. Ms Mordaunt, when her vote is considered against other actions, fares little better. She combined playing the race card with rank dishonesty in the run-up to last year’s EU referendum vote by claiming that the UK could not veto Turkey’s application to join the EU. This is a flat-out lie: every EU member state can veto an application to join. She also said it was “highly likely” that Turkey would join the EU within the next eight years. This is so close to being totally untrue as makes no difference. And she wasn’t finished there, suggesting pressures from the migrant crisis would give Turkey leverage over the EU. They didn’t: after the recent behaviour of Recep Tayyip Erdogan, Turkey’s application to join the EU has effectively been put in abeyance. It’s not going to happen, given the country’s current state and the actions of its leadership. 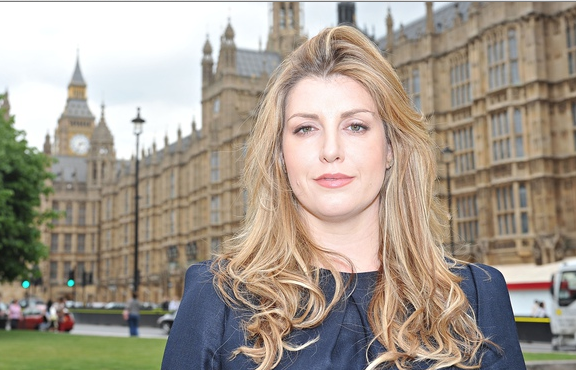 As far as is known, Ms Mordaunt has not resiled from a word of her untrue claims. So we now have, in the department ultimately headed up by someone who lies on a regular basis - London’s formerly very occasional Mayor Alexander Boris de Pfeffel Johnson is still Foreign Secretary, implausible as it seems - another minister for whom lying and then hoping everyone forgets is fine. Well, not only is it not fine, but not everyone has forgotten what Ms Mordaunt claimed last year on The Andy Marr Show (tm). Once again, our Government is shown to be a complete laughing stock. But don’t expect most of our free and fearless press to complain. Because that’s how they like it. You left something out, Tim. Dreadful Penny also took part in the legendary March on Parliament in support of Andrea Loathsome for Tory leader. It is a very sad state of affairs when people are appointed to the cabinet based solely on how they voted on Brexit rather than on ability or suitability for the role. Someone who can belly flop from a high board on national TV is now a requirement to get into the cabinet. It's gonna be needed when they get to the cliff edge in the brexit talks. Fallon Quits - Who’s Next?